Rapper Nelly and five others were detained asÂ law enforcement officials found 36 baggies of heroin and ten pounds of marijuana inside a large green duffel bag (an amount roughly the size of a large bed pillow, TMZ says). 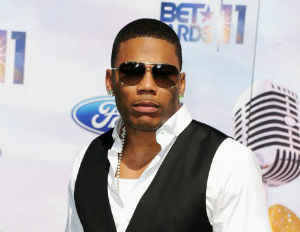 Nelly’s tour bus, where the bust was made, was pulled over in Texas. Law enforcement officials also found a gun inside the bus. Ghettopoly: No! Pimp Juice: Yes?